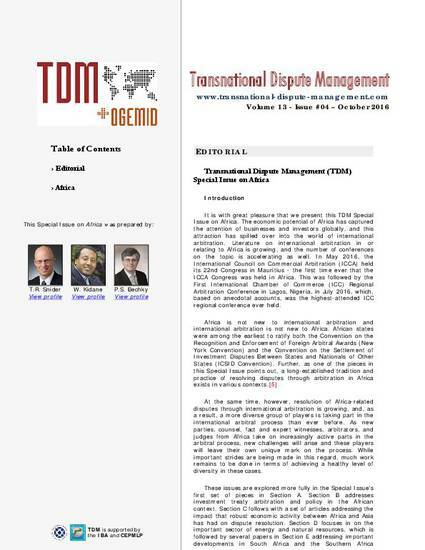 This is the introductory essay by the co-editors of a special issue of Transnational Dispute Management about international arbitration in Africa. The essay provides an overview of the subject matter and introduces the other 28 articles that make up the special issue. The special issue address Africa's impact on international arbitration, investment treaty arbitration, the Africa-Asia nexus, international arbitration in the energy and natural resources sector, and regional and national developments (notably in South Africa and the OHADA region).